Nick Smith is among statistical leaders on the Galion Graders pitching staff, including wins (2), strikeouts (31), ERA (3.48) and innings pitched (31). Gaetan Sinisgalli is tied for the team lead in wins (3), is third in strikeouts (24) and has the most innings pitched. Branden Schlick, one of three Graders all-stars, has two wins, 21 strikeouts and 31 innings pitched and leads the staff with an 1.74 earned run average. Southpaw and Galion native Mac Spears leads the team in saves (3), tied for most wins (3) and is second in ERA (1.77). Austin Hathaway is among team leaders with three home runs and 15 RBI in this, his second summer with the Galion Graders. Todd Sekowski, an all-star starter representing Galion and the Southern Division squad, has three home runs, 18 runs scored, 18 runs batted in, 29 base hits and a .333 batting average on the season. Jacob Reimold leads the Galion Graders in batting average (.363), is tied for first in home runs (5), is second in RBI with 23, has scored 21 runs and recorded 29 base hits in 2018. 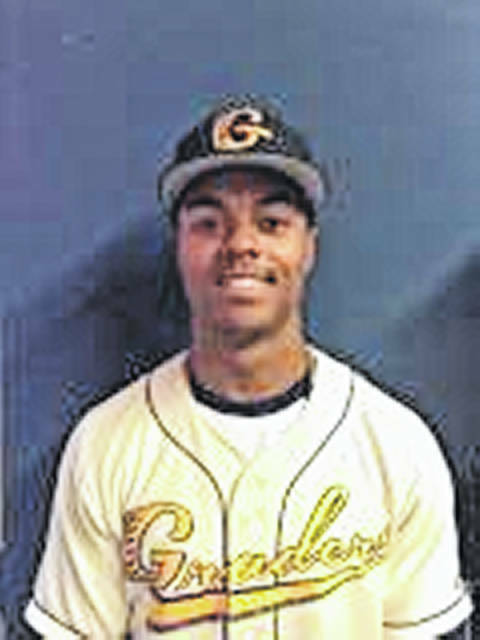 Juan De La Cruz sits atop many statistical categories, as well as high fives and smiles, for the Galion Graders this summer. De La Cruz has ripped five home runs, racked up 26 RBI, has scored 18 runs and notched 34 hits en route to a .315 batting average. It is, as I am typing this, Tuesday, July 17, 2018. That means a lot of things, one being that my 34th birthday is only 10 days away and that the Great Lakes Summer Collegiate League has reached its all-star break. Much like Major League Baseball, the “Mid-Summer Classic” doesn’t occur smack dab in the middle of the season but does symbolize the end of the first half of the season. So, how exactly are the hometown Galion Graders shaping up in their fourth year as a franchise? After an exciting 5-0 start to the season, Galion lost three of its next five games but were still sitting in decent position at 7-3 before disaster (of sorts) struck. In their next 10 games, the Graders went on a dismal losing streak and wrapped that stretch at 2-8, leading to a 9-11 record after 20 games. Thinking in blocks of 10 however, Galion began its turnaround and ended the first half at 16-14, just three games shy of tying the most wins in a season in franchise history with 11 games remaining this season; six are road games and five will be held at home at Heddleson Field in Heise Park. With the background to the Graders’ “dog days of summer” touched upon, this is what the league is looking like as the playoffs draw near. Listed, in order, are: team name, record, winning percentage, games back (if applicable) and record in their last 10 games. Barring any sort of crazy mix-up, the Locos and Green Giants are all but locks for two of the three available playoff spots in the Northern Division. The No. 1 seed gets a bye to the best of three series while the No. 2 and 3 seeds will participate in a play-in game on Tuesday, July 31 to determine whom will be fitted against the No. 1 seed. I would say that it’s a safe bet that Saginaw will take the three spot but in the game of baseball, one never truly knows. The Southern Division is similar to the Northern in the playoff picture. Cincinnati and Southern Ohio, again barring any wild finishes, seem to be locks at one and two, albeit not respectively. For the Graders, they are sitting in control of their own destiny with just those final 11 games remaining. In that stretch, all but two games will be played against teams in the Southern; two against Cincy, two against Southern Ohio, two against Hamilton and three against Licking County. Galion is set to close the season with their remaining two games against the Northern Division’s last place squad in the likes of the Monarchs. With the Joes just two games behind the Graders, their series at Hamilton on July 26 and 27 will be of the utmost importance in determining Galion’s playoff destination, or, worst case scenario, lack thereof. Note that Galion has not made the playoffs as a franchise. With the records and possible playoff pictures set, here are a list of team leaders throughout several statistical categories. Another note: While the newcomers to the team; Eric Wentz, Matthew Detering, Austin Harper and Creek Miller, are making a big impact and playing important roles in the Graders’ playoff push, they will be omitted from team leaders. Home Runs: De La Cruz and Reimold- 5, apiece; Sekowski and Austin Hathaway- 3, apiece. Team (GLSCL rank in parenthesis): 242⅓ innings pitched (1st); 171 runs allowed (2nd); 134 earned runs (2nd); 251 hits (1st); 157 walks (10th); 44 wild pitches (11th); 32 hit batters (6th); 216 strikeouts (12th); 1,160 batters faced (1st); 2 complete games (tied, 2nd); 10 saves (2nd); 13 home runs allowed (2nd); .258 batting average against (3rd) and 4.98 earned run average (4th). 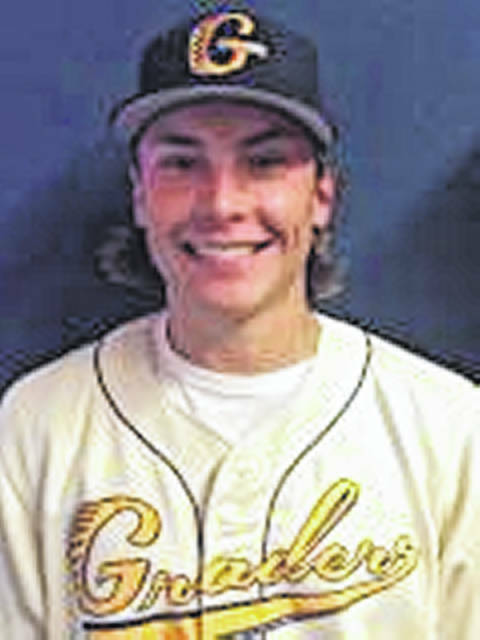 https://www.galioninquirer.com/wp-content/uploads/sites/38/2018/07/web1_Nick-Smith-1.jpgNick Smith is among statistical leaders on the Galion Graders pitching staff, including wins (2), strikeouts (31), ERA (3.48) and innings pitched (31). 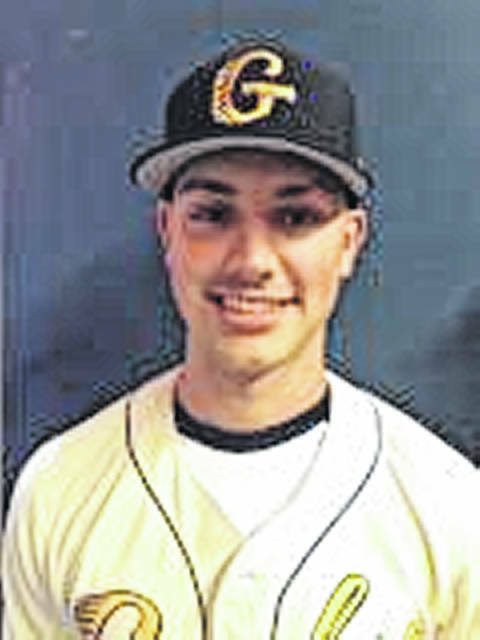 https://www.galioninquirer.com/wp-content/uploads/sites/38/2018/07/web1_Gaetan-Sinisgalli-1.jpgGaetan Sinisgalli is tied for the team lead in wins (3), is third in strikeouts (24) and has the most innings pitched. https://www.galioninquirer.com/wp-content/uploads/sites/38/2018/07/web1_Branden-Schlick-1.jpgBranden Schlick, one of three Graders all-stars, has two wins, 21 strikeouts and 31 innings pitched and leads the staff with an 1.74 earned run average. https://www.galioninquirer.com/wp-content/uploads/sites/38/2018/07/web1_Mac-Spears-1.jpgSouthpaw and Galion native Mac Spears leads the team in saves (3), tied for most wins (3) and is second in ERA (1.77). 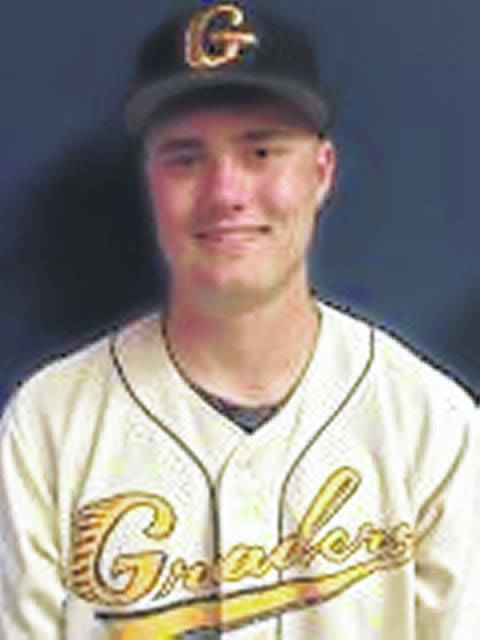 https://www.galioninquirer.com/wp-content/uploads/sites/38/2018/07/web1_Austin-Hathaway-1.jpgAustin Hathaway is among team leaders with three home runs and 15 RBI in this, his second summer with the Galion Graders. 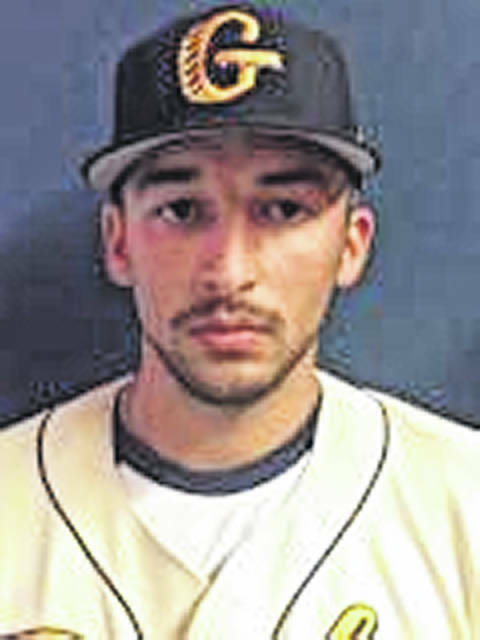 https://www.galioninquirer.com/wp-content/uploads/sites/38/2018/07/web1_Todd-Sekowski-mug-1.jpgTodd Sekowski, an all-star starter representing Galion and the Southern Division squad, has three home runs, 18 runs scored, 18 runs batted in, 29 base hits and a .333 batting average on the season. 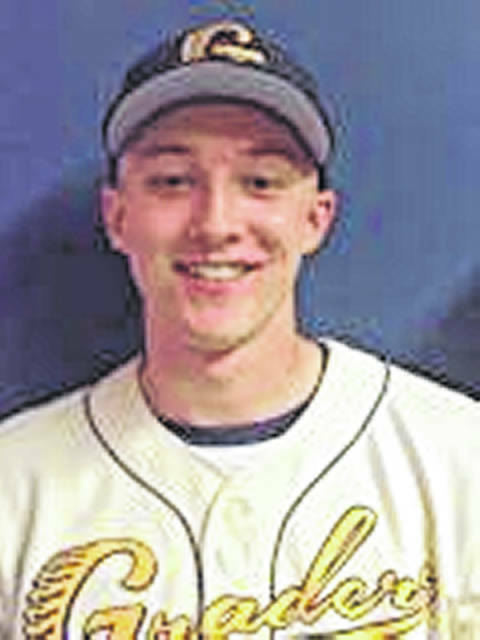 https://www.galioninquirer.com/wp-content/uploads/sites/38/2018/07/web1_Jacob-Reimold-1.jpgJacob Reimold leads the Galion Graders in batting average (.363), is tied for first in home runs (5), is second in RBI with 23, has scored 21 runs and recorded 29 base hits in 2018.
https://www.galioninquirer.com/wp-content/uploads/sites/38/2018/07/web1_Juan-De-La-Cruz-mug-1.jpgJuan De La Cruz sits atop many statistical categories, as well as high fives and smiles, for the Galion Graders this summer. De La Cruz has ripped five home runs, racked up 26 RBI, has scored 18 runs and notched 34 hits en route to a .315 batting average.